Nothing puts a damper on your day like a dead car battery. You might not always think about the battery in your car, but if you are having trouble starting up your vehicle, it might be an issue with the battery. If you have noticed symptoms like dim headlights, flickering interior lights, uncommon or prolonged radio interference, or hesitant ignition, you could be dealing with a battery problem. Don't worry, it's a simple thing to fix and you have Performance Nissan on your side. Whether you need a quick diagnostic, a minor repair, or a full battery replacement, the skilled technicians at Performance Nissan will ensure that your car can always start reliably. We sell a wide selection of different auto batteries for both cold and warm climates; whether you are gearing up for a long winter or getting ready to take your next summer road trip, we have the perfect battery for your vehicle. 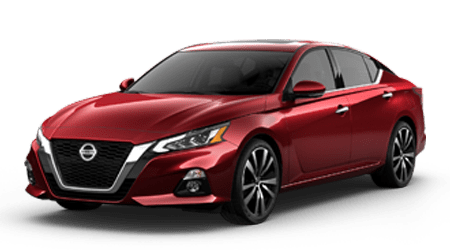 Performance Nissan carries all the top auto battery brands including DuraLast, Die Hard, Energizer, Duracell, Ever Start, True Start, and many more. Looking for a performance or high output car battery? Performance Nissan has you covered; we stock a great number of high output batteries that can power high-watt stereos and lights, as well as any additional in-car electronics and adaptors for appliances. If your battery seems to be fine, the Performance Nissan technicians can also inspect and service your alternator and alternator belt. Our state-of-the-art facility can also handle repairs and replacements of hybrid battery packs and electric motors. Battery problems can be frustrating, but Performance Nissan is always here to help you with expert battery diagnostics, repairs, and replacements. Come and see us today! We are close to . Make a service appointment today for auto battery diagnostics or car battery repairs at Performance Nissan.